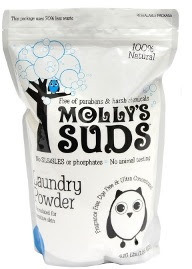 Molly's Suds: Great Natural Detergent for Cloth Diapers! Searching for an effective natural detergent? Want to keep your clothes and cloth diapers clean and safe? Then I recommend Molly's Suds! You will LOVE this detergent! We were so excited to try out Molly's Suds that we tried it on everything! Why were we so excited? Molly's Suds is a natural laundry detergent that's free of fragrances and dyes, with no phosphates, no petrochemicals, no formaldehyde, no parabens, and none of that other scary stuff that's in standard store-bought detergents. Molly's Suds is also safe for high efficiency machines, it's biodegradable, and is vegan! This laundry powder is also great for adults and kids with extremely sensitive skin. It works in top and front loaders alike. We tried it on our clothes: clean! I tried it on some super funky kitchen rags: clean! MOLLY'S SUDS CLEANS MY CLOTH DIAPERS! If you're not into cloth diapers, you may not know the crazy, wild need that cloth-diapering mamas have to find a detergent that actually cleans cloth diapers without any issues. Some mamas out there have no problems with detergent, but others really struggle to find something that works. We've been using Molly's Suds for over a month now on our cloth diapers and it has been wonderful! I've had detergents that I've liked in the past, but we always needed to strip the diapers every few weeks (because we have hard water and the diapers would be super stinky immediately after being peed in). But we are still going strong with Molly's Suds and the diapers smell great coming out of the wash, coming out of the dryer, and even coming off the bum! I never thought that I would truly rave this much about a detergent, but I am sold on these suds! 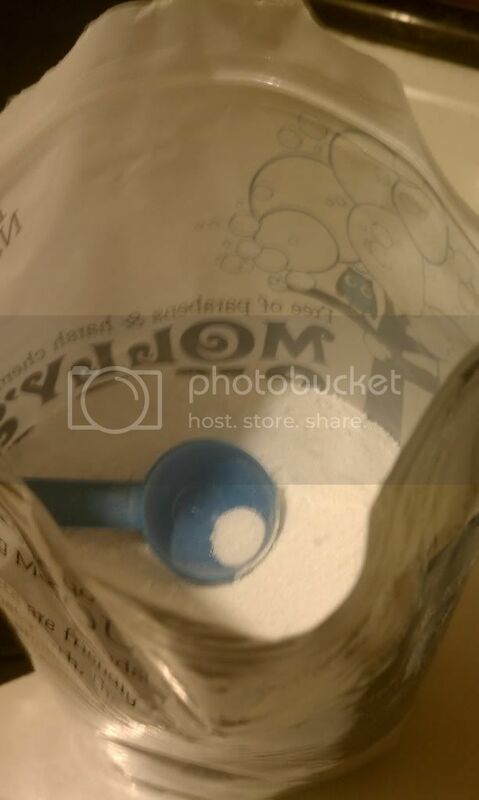 This laundry powder can clean 128 loads and is so great for the earth and for your family. Blogger Opp: Free Sign-ups for $100 Giveaway!